What’s a better use to a beautiful long weekend than planting (or starting) a veggie garden?! 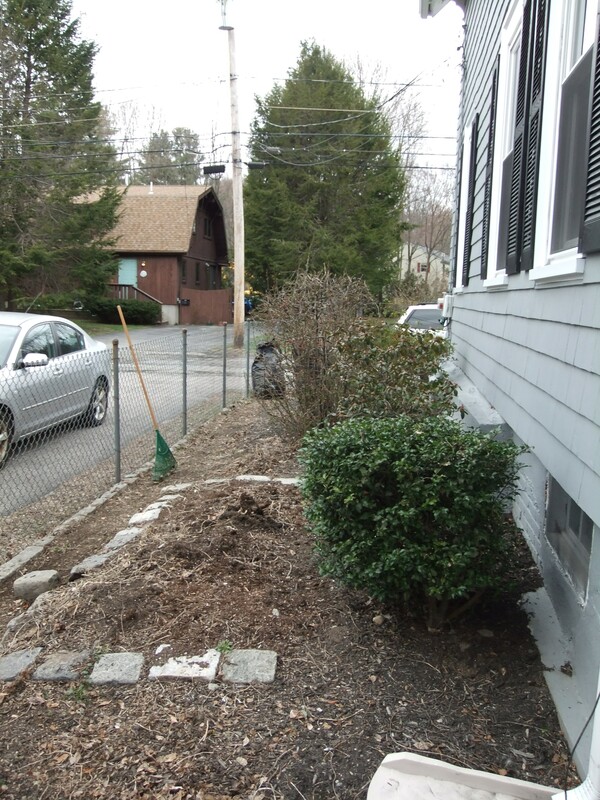 This has been a long time coming, starting with pulling some bushes out in the beginning of April when we still needed gloves outside. 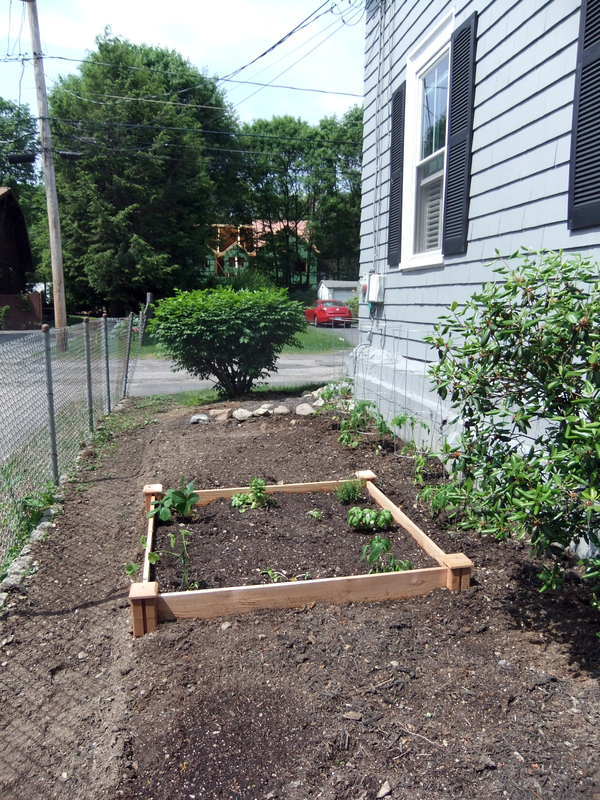 The previous owners of the house had a small vegetable garden in the side yard, but we had bigger ideas. With the magnitude (time and cost) of our plans, we’re working on it in phases. 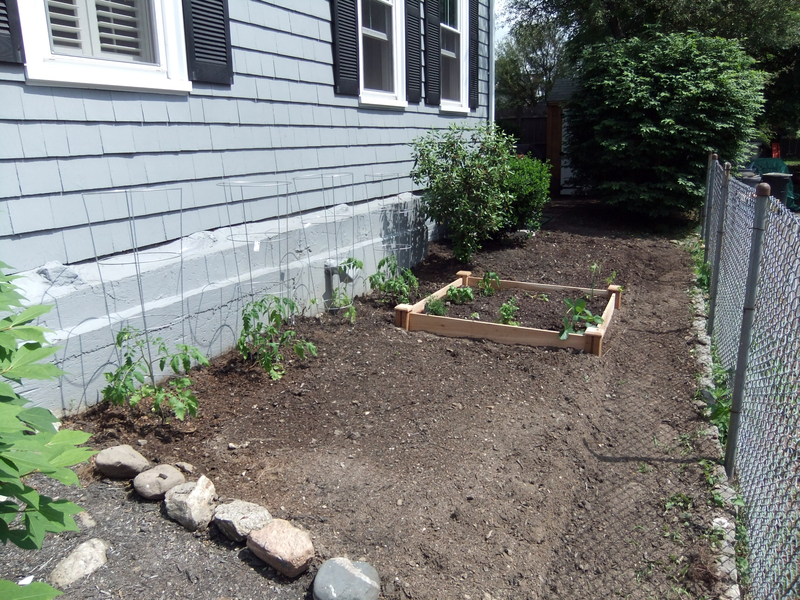 Phase 1 is finally complete and included pulling up a few sad bushes, digging up and leveling the area a bit, adding 1 raised planting bed and planting tomatoes and a few other plants we had received as gifts. 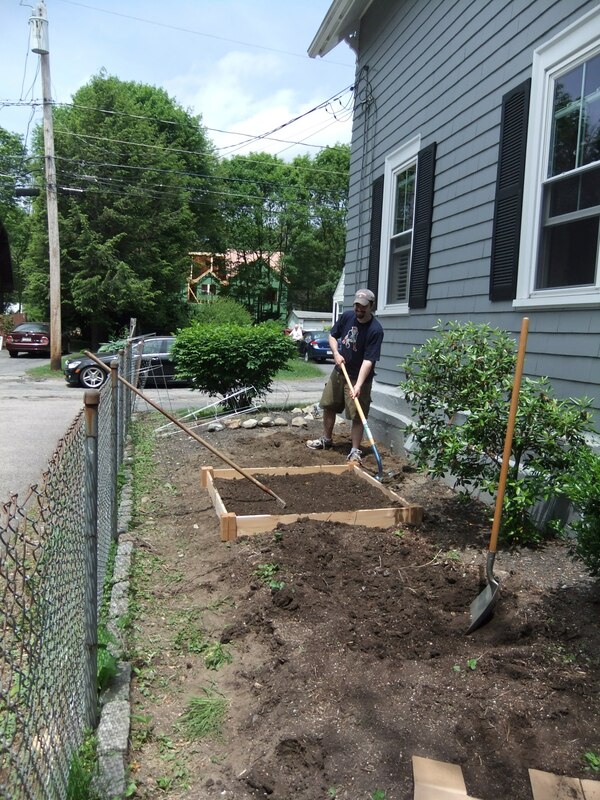 Phase 2 will probably be in a few weeks and include another planting bed, more plants, and maybe a compost bin. Phase 3 will be bigger (and probably not this summer) and will include pulling out the remaining bushes and adding 1-2 more planting beds, giving us a total of 3 or 4 planting beds along the entire span of the house. So, back to Phase 1. 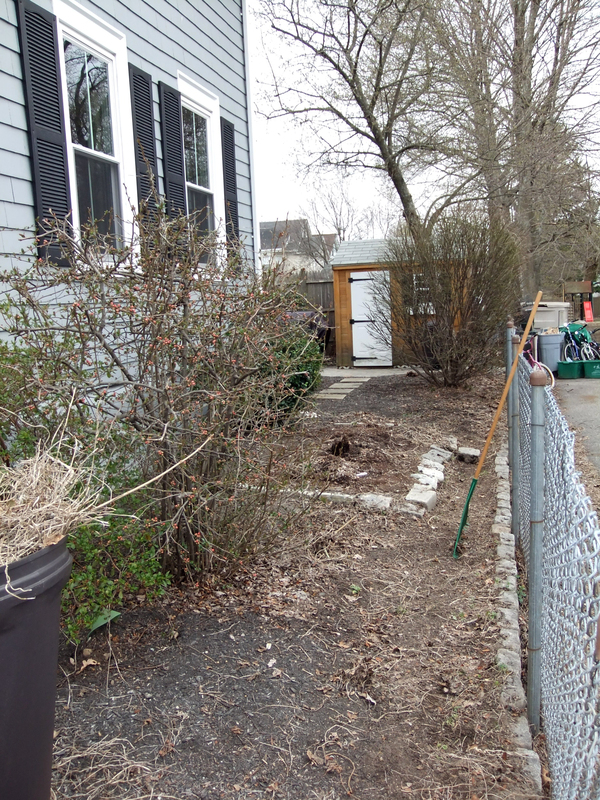 I neglected to take a “Before” picture before we tore last year’s dead morning glories off the fence. Mom was a little eager to get her hands on those eyesores. Here’s the “Before” sans dead vines. Now that its warm (although being in New England, I’m still not convinced that next week won’t be freezing), we decided it was time to move to the next part of our plan. Veggies! You like Hubby’s cheesy digging pose? I know, one small 4×4 planter is a little small for the space, but baby steps here! It won’t be lonely for long. 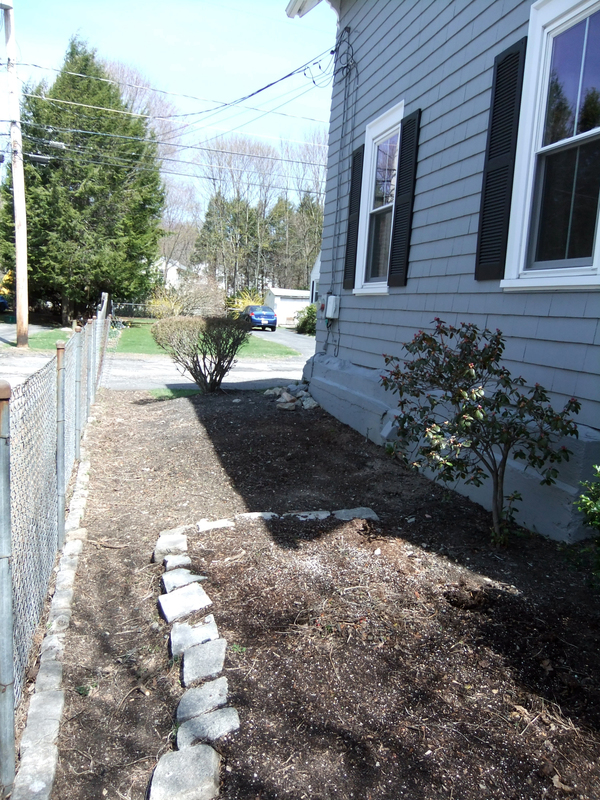 The ultimate plan will also include a stone path around the 3 or 4 planters and mulching the remaining side yard. Before you yell at me for not taking care of all the weeds by the fence, most are the beginning of this year’s morning glories (I hope), so I’m seeing what happens there. I think I’m going to put them in a box with my gorgeous old electrical box. I can’t bring myself to get rid of this stuff even if it is junk. 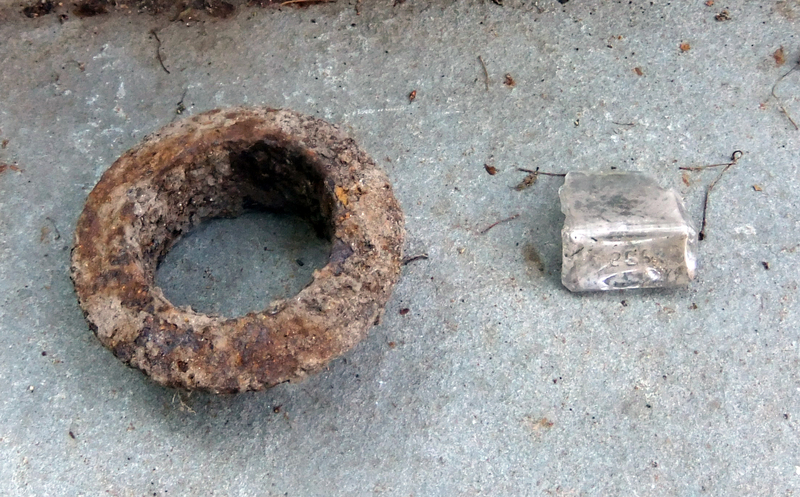 It somehow ties to the history of our house and I’m crazy fascinated.